Following the heels of Basic Borders, our first border building set, we're pleased to introduce Modern Borders! Chevrons, honeycombs, and scallops all in one set? We try to bring you the best in each set we design and this is no different! 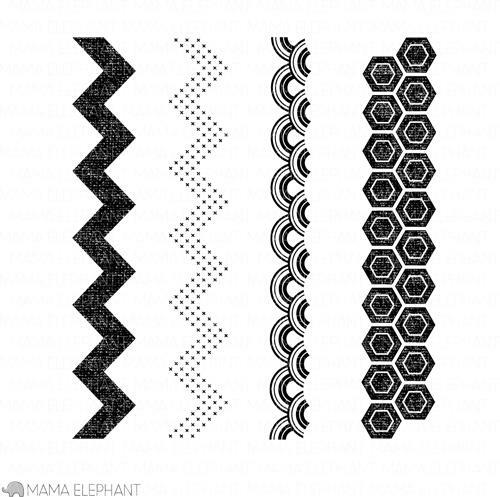 The solid chevron and honeycomb pattern both have a distressed pattern within - we all know how difficult it is to get 100% even ink coverage sometimes, especially with repeating pattern stamps. The added distressing makes it okay to be imperfect! 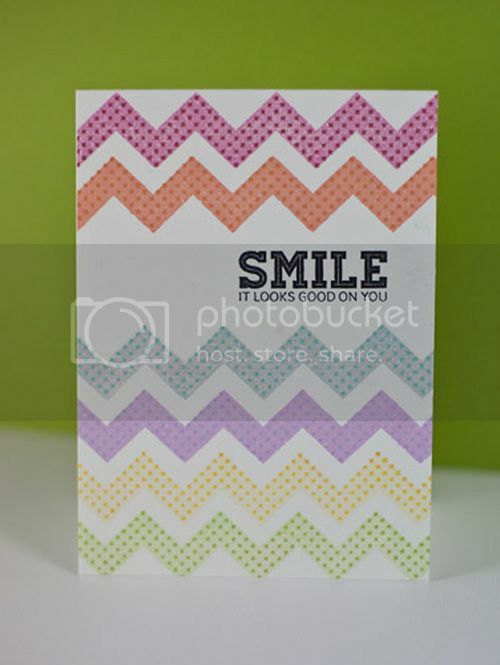 And how about that complimenting chevron pattern to go with the solid? 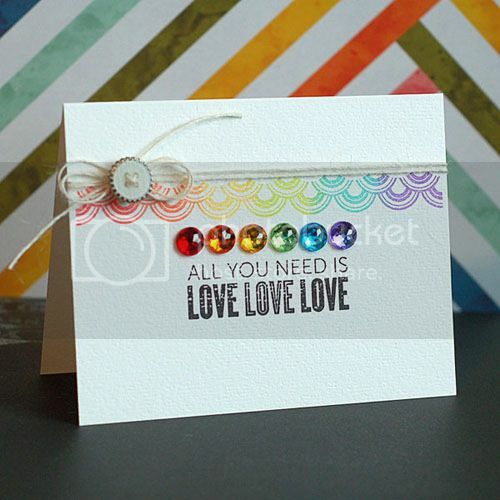 Combine them, use it alone for an impressive letterpressed look! And scallops are always in style! Now check out what our designers did! 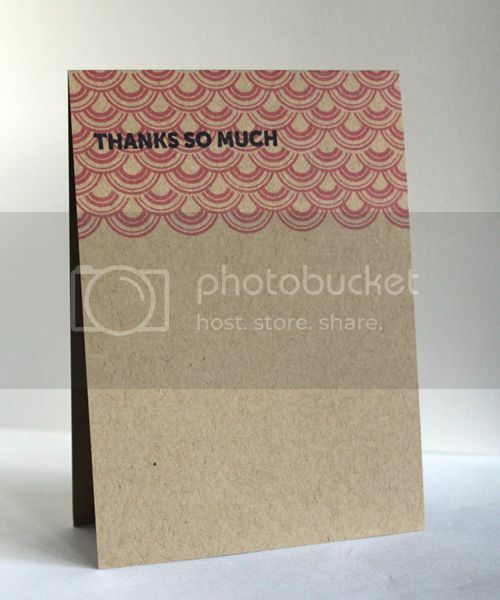 Alice kept it clean and stylish just stamping on the top of her card. Cheiron shows you how awesome the chevrons look stacked together! JJ's card looks like pure candy!! That color combo is gorgeous! Mariana created some pretty honeycomb flowers out of the pattern. So smart! Isn't this card by Lea just drop dead gorgeous? Love the rainbow! Let's all swoon together now! 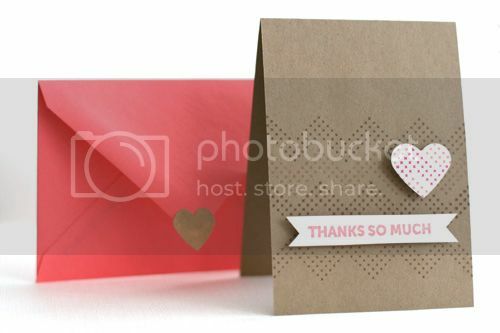 Pearl created a chic little card with matching envelope. So pretty with the heart popped up. These are just so awesome! I LOVE them! These ar all simply fabulous. I see another set for my wish list! Love these, thanks for sharing your cards! Love the border stamps, and gorgeous creations with them today! 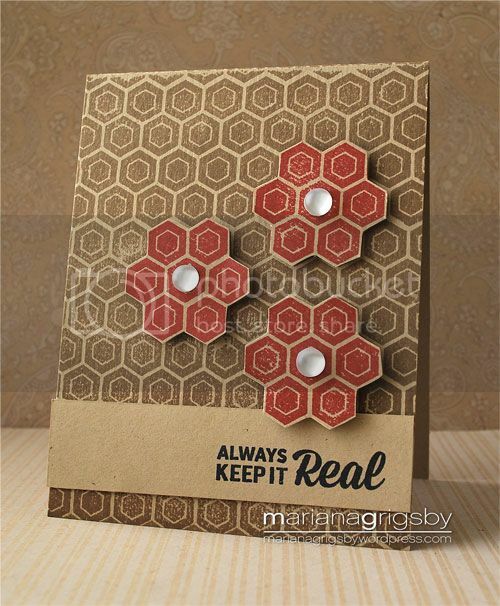 Love the decorative possibilities this set offers, especially love the hexagons and the fancy scallop borders!